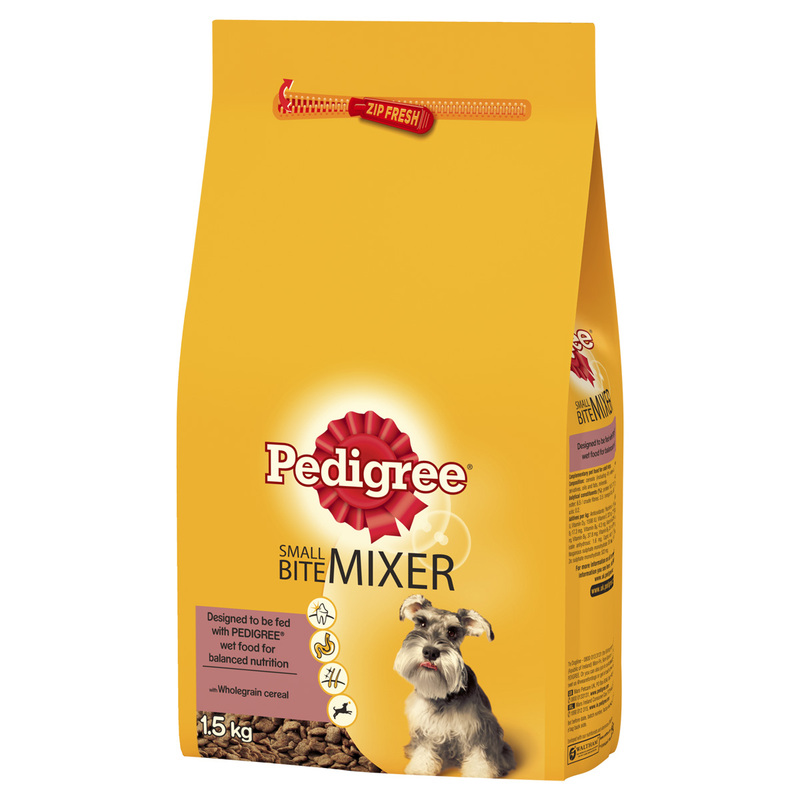 Pedigree Small Bite Mixer is a specially formulated food accompaniment for small breed dogs, catering to the needs of smaller mouths and digestions. The mini-kibble mixer contains a hearty blend of nutritionally balanced ingredients, including digestible cereals, oils and fats to support joints, and key minerals to protect and nourish internal systems. Great for mixing with wet and dry foods, for a multi-textured meal your dog is guaranteed to enjoy. Cereals (including 4% whole wheat), meat and animal derivatives, oils and fats, minerals, antioxidants. You may need to adjust the amount of food according to the level of activity, breed and age of your dog. Allow a transition phase when offering new food. Fresh water should always be available. Store closed, in a cool and dry place. There are currently no questions for Pedigree Small Bite Mixer Dog Food - be the first to ask one!